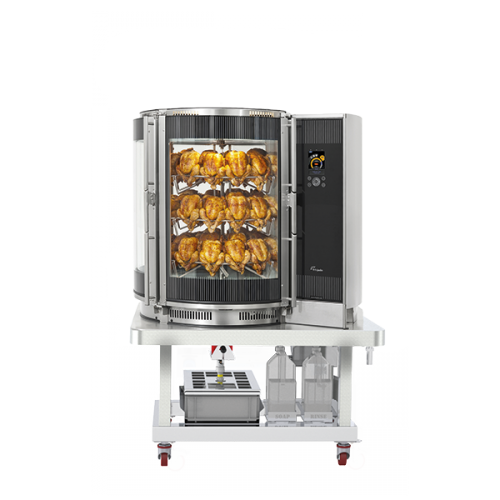 The most popular of the Halo Heat® under-counter models, the 750-S holding unit accepts both full-size sheet or steam pans and is available in both reach-in and pass-through configurations. 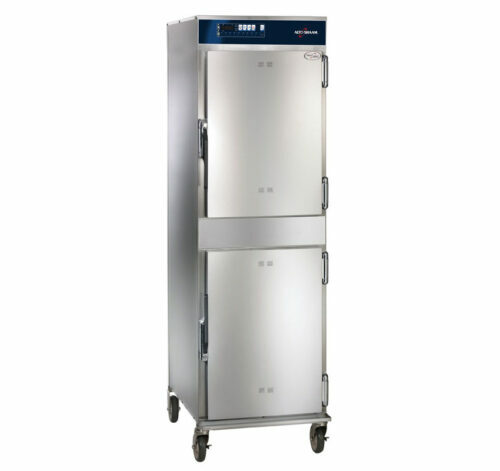 Place it on low profile casters for placement beneath a 32″ (813mm) counter surface. Capacity – 120 pounds (54 kilograms), 10 full-sized/GN pans. Halo Heat – Gentle Halo Heat won’t dry out your product allowing you to work smarter, not harder. Precision controls – The 750-S comes standard with digital controls. 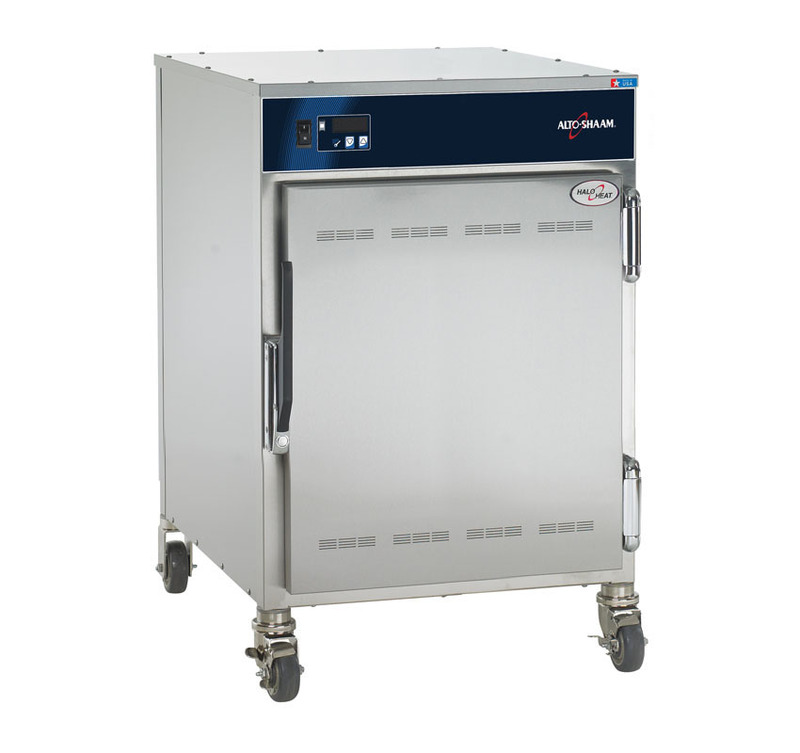 A large digital readout ensures holding at the optimal temperature. 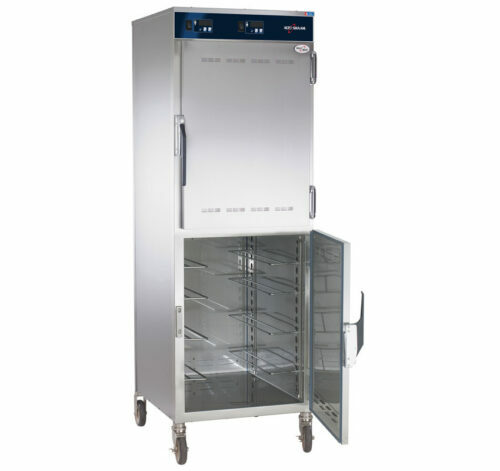 Optional multi-shelf timers also are available to help facilitate a first-in, first-out rotation schedule. 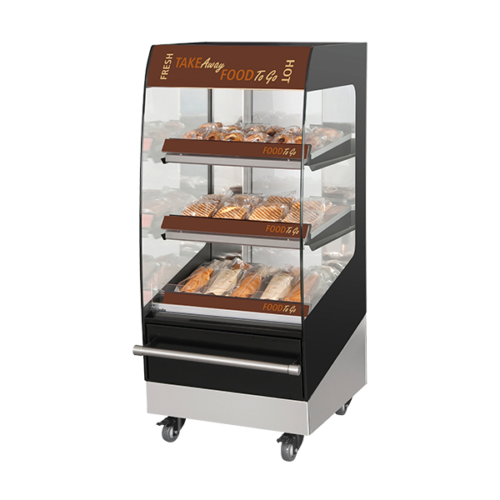 Reach-in or pass-through design – The reach-in design features one door, and the pass-through design features doors on front and back sides, offering more versatile access to held foods.